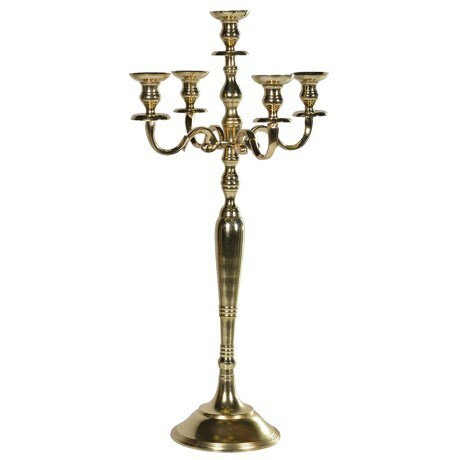 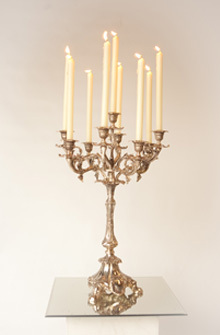 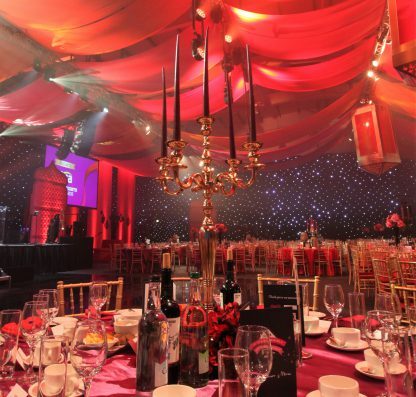 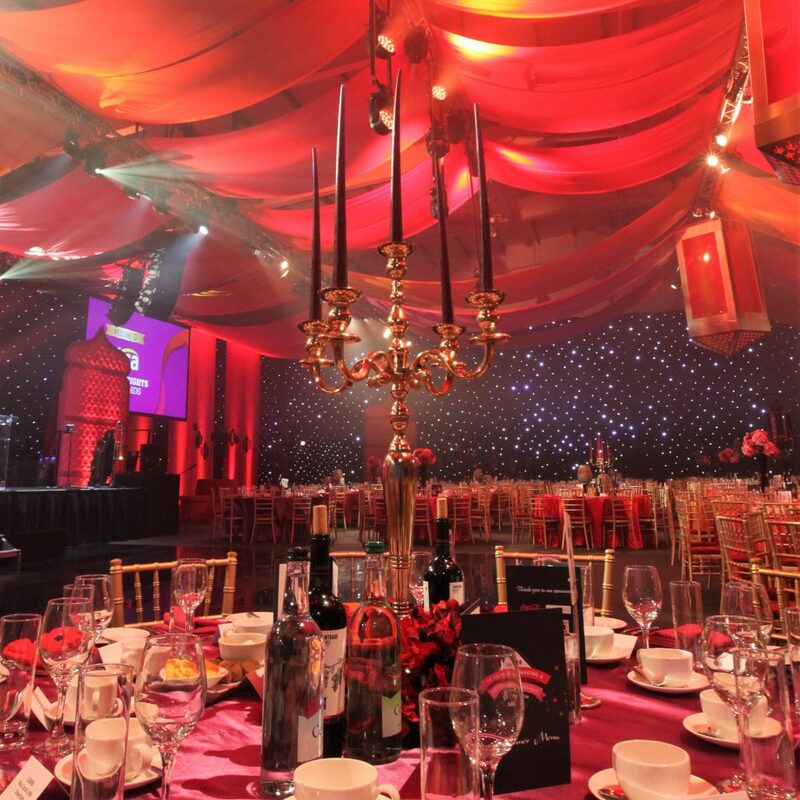 These elegant gold metal candelabras really bring the wow factor to any venue. 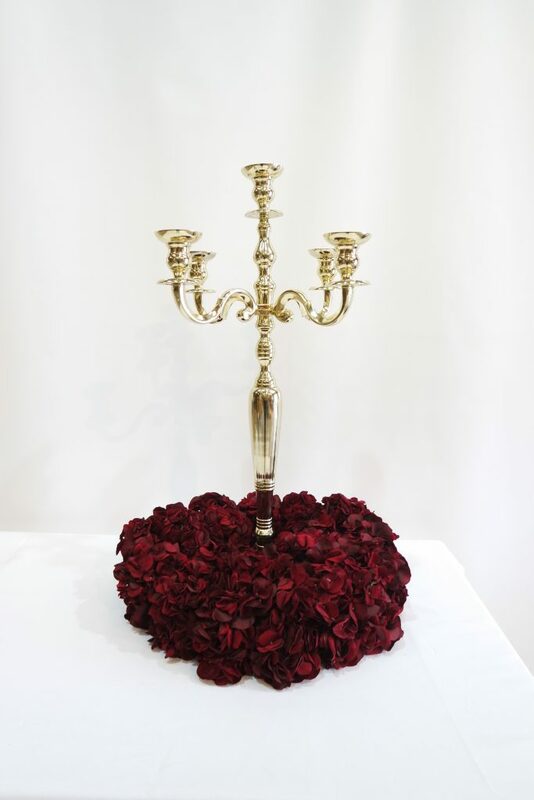 They look beautiful whether adorned with flowers or left undressed. 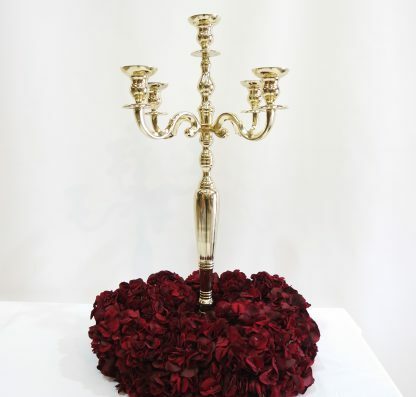 Their versatility means they can be used as a table centre, as a styling piece on a bar or standing on a plinth. 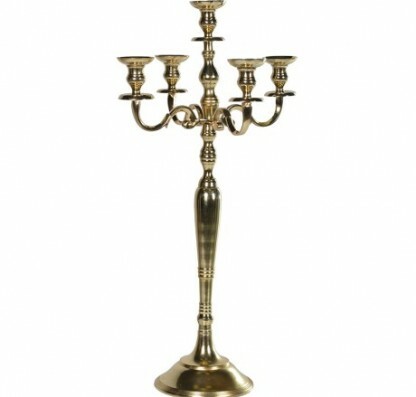 These team wonderfully with our gold lantern.